Oftentimes when you try to paste directly from a text editor such as Word directly into your PowerMail, the results can be pretty strange. To fix this we've included a 'Paste From Word' button to allow you to copy and paste without worrying about strange results. 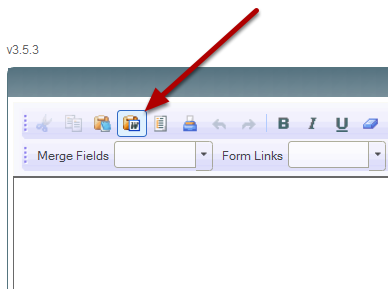 Most of your formatting will be stripped away but this is expected as the system removes formatting from the text document. 2. 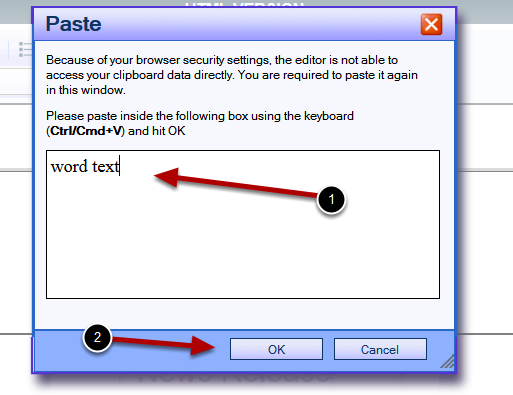 (1) Paste your text into the window and (2) Click 'OK'.